Where to stay on a budget in Akaroa. With a stunning harbour full of wildlife, hiking trails to hidden inlets, beaches and much more, no wander you want to stay in Akaroa for a while! That’s why there are 10 Things We Love About Akaroa. The “French town” of New Zealand is full of character for an entertaining stay. Plus, there are plenty of backpacker hostels in Akaroa to keep the costs low. While staying in one of these affordable Akaroa hostels, be sure to fill your itinerary with awesomeness by checking out our Akaroa – Guide for Backpackers. 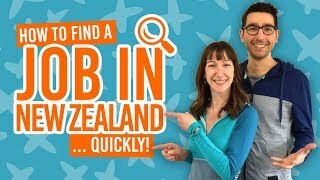 Get out on the water, swim with dolphins, see New Zealand’s largest little blue penguin colony, visit an alpaca farm, and so much more! The brightest and most central backpacker hostel in Akaroa is the Chez La Mer Backpackers. Stay in this budget accommodation with free WiFi, free mountain bike hire, free fishing rods and much more! Relax in the garden or lounge and make use of the kitchen and laundry facilities in this historic yet homely hostel. Check Chez La Mer out! Another central hostel in Akaroa is the Bon Accord Backpackers. Keeping on the historic French theme, the Bon Accord hostel is set alongside the river on the edge of Akaroa town centre. Relax in the garden, grab some herbs and vegetables from the garden and make use of the communal kitchen facilities. As for rooms, choose from dorms, private rooms and cabins. For an experience, rather than just accommodation, check out the Onuku Farm Hostel in the nearby settlement of Onuku. With all the backpacker-style accommodation you could think of – dorms, private rooms, cabins, stargazer cabins, van sites, tent sites and more – you will be sorted at the Onuku Farm Hostel. This is the perfect spot for getting off the beaten track. 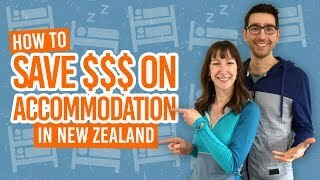 This hostel also features as one of our 13 Most Unique Backpacker Hostels in New Zealand. Another fantastic out-of-town backpacker accommodation is Halfmoon Cottage in Barrys Bay. Choose from dorms, twin rooms, double rooms and family rooms in this BBH hostel. Enjoy a spacious garden in the back of this homely cottage hostel. There are also bikes and kayaks to hire to make the most of the area. Be aware that the hostel is closed during June to August. The central location in Akaroa is ideal. Situated above the Madeira Hotel pub, you don’t need to go too far for food and a drink. The Akaroa Backpackers offers 4-bed dorms and a twin room. Each room has a small kitchenette with a microwave, toaster and coffee machine.